The Killers will be hitting the road in North America in early 2018 for their first full Killers tour since 2013. UPDATE AUG. 1: The Killers will be hitting the road in North America in early 2018 for their first full Killers tour since 2013. The tour includes a Las Vegas stop at the MGM Grand Garden Arena Feb. 3, 2018. Tickets go on sale at 10 a.m. on Aug. 11, 2017 at axs.com. ORIGINAL ARTICLE: The Killers are performing a pop-up concert on the Las Vegas Strip on July 31. The Las Vegas natives will perform some of their greatest hits, along with songs from their new album, "Wonderful Wonderful." The six-song concert will be at 8 p.m. at Caesars Palace hotel-casino. 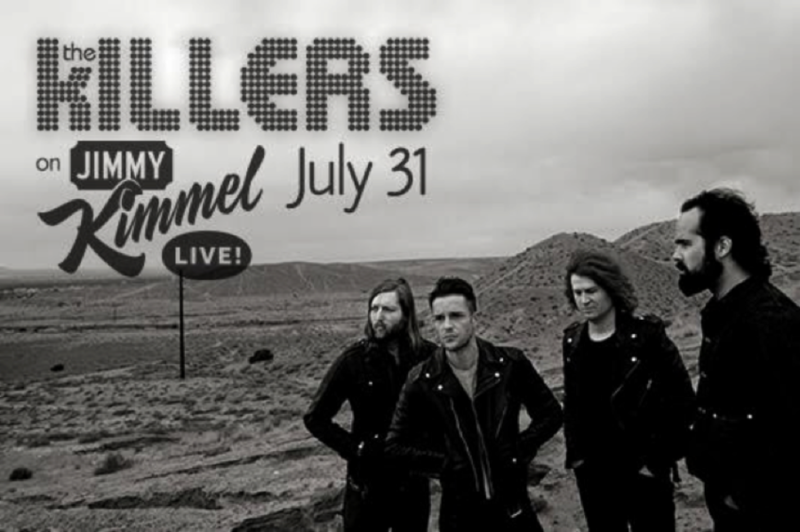 The concert will then air on "Jimmy Kimmel Live" on Monday, July 31 at 11:35 p.m. The general public can view the concert at no charge from The Vortex at The LINQ hotel-casino. You can also watch the stream of the concert in the video player below.